Part Used : Root, Flower, Leaves, And Stem. Habitat : Common in well-drained soil, disturbed areas, and lawns of india. Uses : Decoction of root is used with water to gargle to reduce toothache. 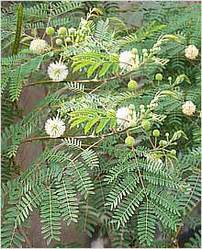 It is very useful in diarrhea (athisaara), amoebic dysentery (raktaatisaara), bleeding piles and urinary infections. It arrests bleeding and fastens the wound healing process. It is mainly used in herbal preparations for gynecological disorders. It has been said to have medicinal properties to cure skin diseases. It is also used in conditions like bronchitis, general weakness and impotence. It is also used to treat neurological problems. Root is bitter, acrid, cooling, vulnerary, alexipharmic and used in treatment of biliousness, leprosy, dysentery, inflammations, burning sensation, fatigue, asthma, leucoderma, blood diseases etc. Decoction of leaves is used for diabetes.